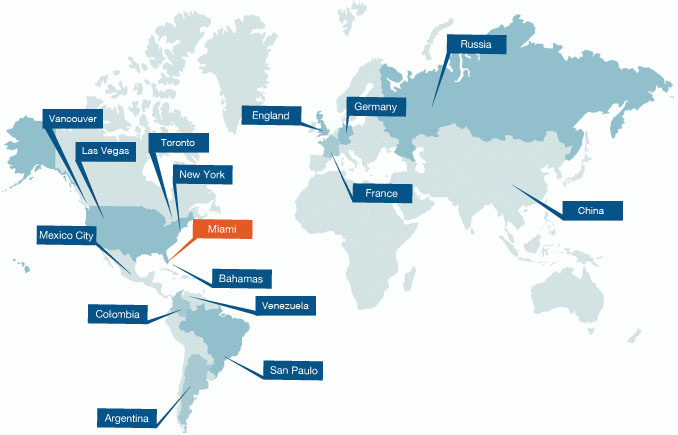 Over the past 25 years, the executives with Pordes Residential have perfected our role as the exclusive Latin American developer sales representative to some of the best known U.S. luxury waterfront condominiums. Positioning ourselves as an international firm was critical. With offices located in Argentina, Sao Paulo, New York, Las Vegas and Mexico City, we are always just a short jump away.